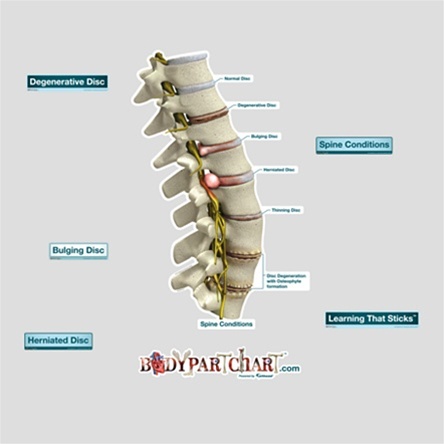 Spine Conditions (Labeled) - Easy to apply, movable, and dry-erasable. 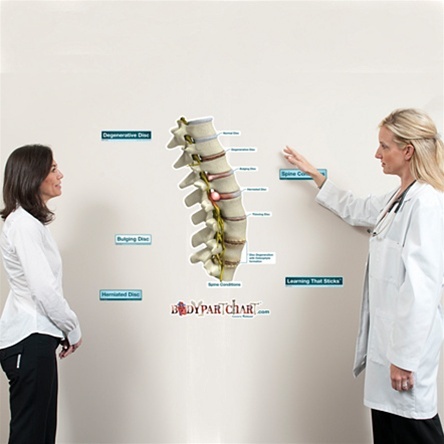 This product is a highly accurate, patient appropriate anatomical image of the different abnormalities in the discs, making explanations more visual. 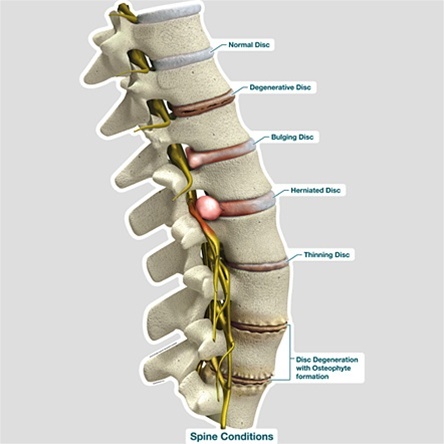 These labeled conditions include a normal disc, degenerative, bulging, herniated, thinning, and disc degeneration with osteophyte formation. Made of high quality vinyl that is durable, reusable and has a self adhesive backing, installation is simplified without all the hassle of tape on ordinary charts. The vivid detail and high definition colors deliver a three dimensional look and feel compared to an average anatomy diagram. Being oversized and free form helps to eliminate confusion and creates an environment for learning.